Handblown Cobalt Fumed Spoon Pipe with a lush fuming and color ringed carb. Handblown means each one is unique. About 3.5-4" long w/the widest part hitting ~1.75". Sugar Matty's the guy to go to for cool + affordable American glass; blown nearby us in Boston. Good pipe if you want a 1 hitter. Bowl is very small. 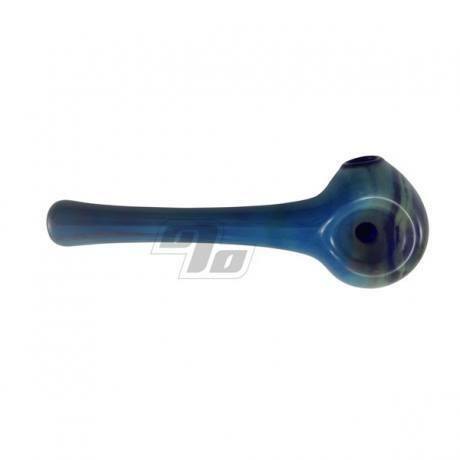 This is a very economical glass pipe and I am very happy with it. 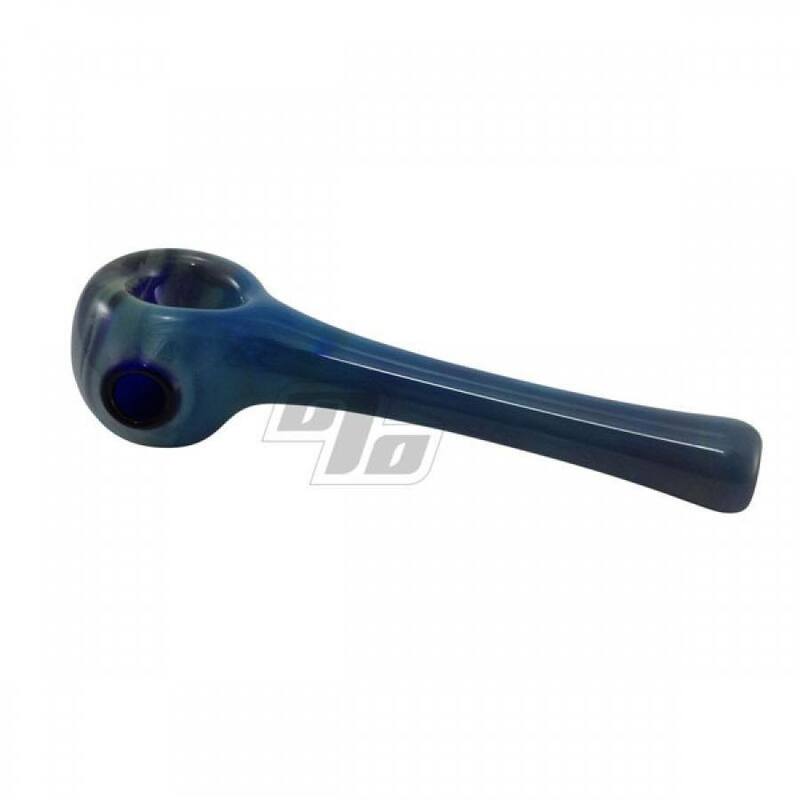 Glass pipes are nice and they provide a smooth draw. I discovered that glass pipes afford the greatest percent of efficiency (i.e. extraction actually ingested) when compared to other smoking methods. Just be sure to light only the edge and not the entire bowl in one big flame. The difference was quite substantial when comparing it to a rolled joint. 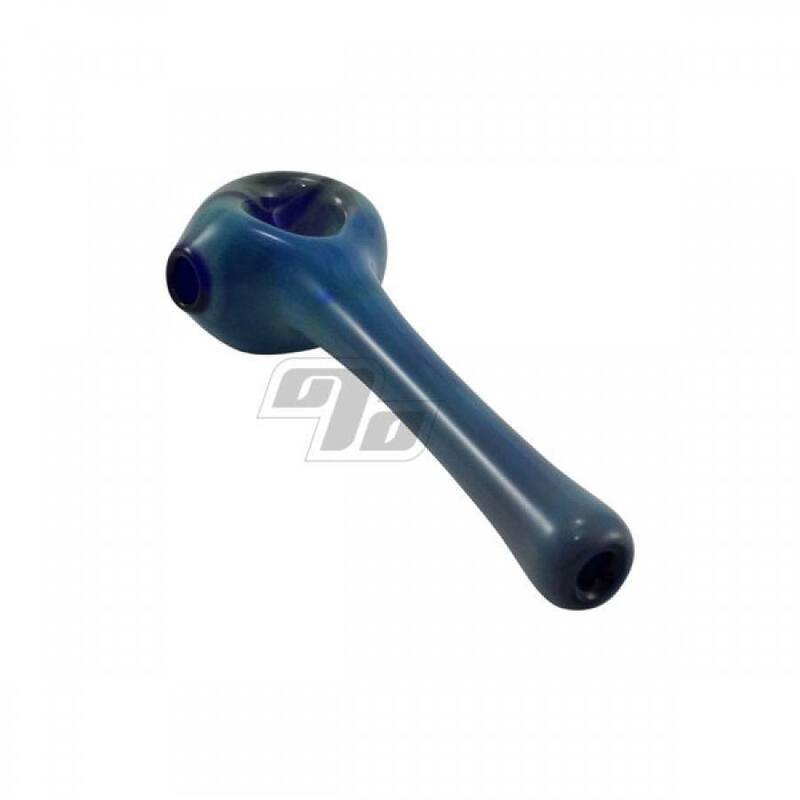 For the Cobalt pipe use a small glass star screen. I gave this pipe to my significant other as a surprise out of nowhere gift. He was impressed with my choice of pipe. He is my happy pipe-smoking big stud-muffin.